This boat-based Whooping Crane Photo Tour offers plenty of ops to get great shots of endangered Whooping Cranes at the Texas Gulf. I have room for just five (5) photographers (THREE (3) spots left) to join me as we watch and photograph the endangered cranes at their most active, feasting upon the Gulf-Coast bounty. These particular birds are descended from nature’s last wild flock. 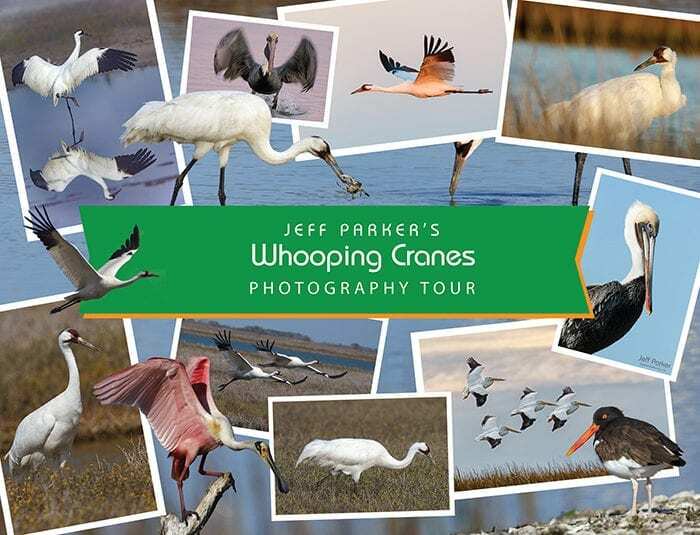 The Whooping Crane Photo Tour ~ 2019 includes two extensive boat-based photo shoots during which we’ll create images of the Whooping Cranes of Aransas National Wildlife Refuge. The fun continues after our boat-based shoots with afternoon photo excursions in and around Rockport and Port Aransas where we’ll focus our lenses on colorful shrimp boats, the marina, Brown and White Pelicans, Great Egrets, Great Blue Herons, Ibis, Forster’s Tern, Black Skimmers, Roseate Spoonbills, American Oystercatchers, other shorebirds, raptors, and more. 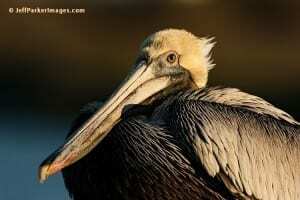 Watch the behavior of North America’s tallest birds in their wintering habitat along Aransas National Wildlife Refuge. Observe juveniles interacting with their parents. Wonder at the birds’ size and elegant gawkiness. Enjoy listening to the unique sound of their trumpeting calls. Photograph them pulling blue crabs up from estuary mud. We will have multiple opportunities to take a variety of photographs of this fascinating species. Our boat captain does an amazing job of getting us up-close and personal with the birds (without disturbing them). Jeff’s one-on-one guidance throughout your tour – Jeff encourages you to ask questions! Gather for orientation and our first meal together to kick off the Whooping Crane Photo Tour ~ 2018 (meals not included in the price of the tour). Spend a full day aboard the Jack Flash focusing your lens (or lenses!) on endangered Whooping Cranes. Boat leaves approx. ½ hour before sunrise & returns in the early afternoon. Enjoy an afternoon photo shoot in and around Rockport taking images of shrimp boats, the marina, Brown Pelicans, wading birds, Roseate Spoonblls, oystercatchers, raptors, and plenty more. Spend another fun day with Jeff aboard the Jack Flash capturing more great photos of Whooping Cranes and the other abundant bird life of the Texas Gulf Coast in winter, including: Ibis, Sandhill Cranes, Egrets, Whistling Ducks, Brown & White Pelicans, Great Blue Herons, American Oystercatchers, Forster’s Terns, Black Skimmers, etc. Then, enjoy a second afternoon photographing the wildlife and scenery in and around Rockport/Fulton and/or Port Aransas. There are minimal physical requirements for this tour. You will access shot locations either via boat or car. The Intracoastal waters tend to be pretty calm so sea-sickness is not an issue. There are no bathrooms on our photo boat so please plan accordingly. The nearest airport is Corpus Christi, Texas (39 miles/about 40 minutes). The airport code is CRP. There are many car rental choices in Corpus Christi. Meals are not included in this tour. We usually dine together but, of course you are welcome to do your own thing. The list of Rockport restaurants continues to change as residents there continue to rebuild after Hurricane Harvey. You will receive a schedule that includes the names, addresses, and websites of every place we are scheduled to eat so that you can view the menus ahead of time (in most cases). 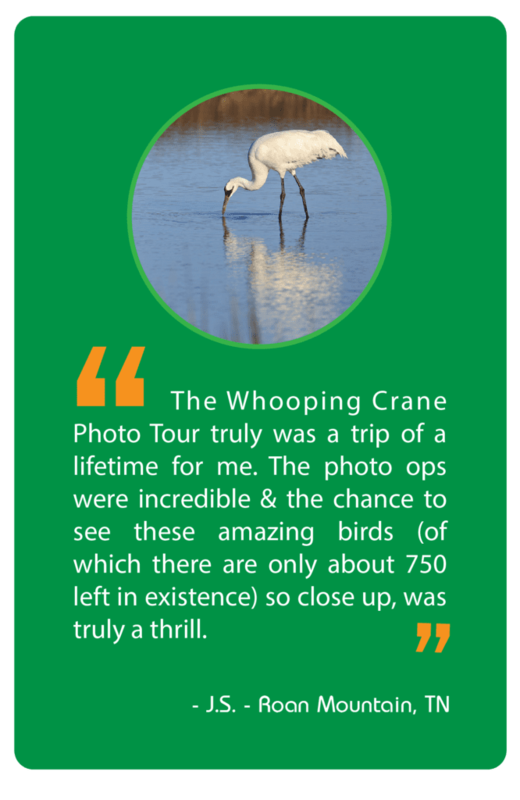 Wondering what equipment you’ll need for the Whooping Crane Photo Tour? Click on this EQUIPMENT CHECKLIST (PDF). You’ll want to bring the biggest lens you have (I recommend at least a 400mm for this tour; if you don’t own one you can rent one at LensRentals.com). You will definitely need a tripod. A gimbal-style head is best. If you have any questions about suitable or minimum equipment needed, please do not hesitate to contact me. Due to the devastation wrought by Hurricane Harvey lodging options in Rockport remain in flux. The Rockport/Fulton Chamber of Commerce keeps an updated list here. Please read our DEPOSIT & CANCELLATION POLICY before purchasing (see link under “MORE” on sidebar to the right). Thanks!